Research shows that in 2018 manufacturers are turning to content marketing to ensure they are front and centre when prospects are conducting their own online research. However, the latest research by The Content Marketing Institute suggests that even though 64% of manufacturing content marketers say their organisation’s content marketing is much/somewhat more successful compared with one year ago, many are still in the early stages of implementing content marketing. Here is a roundup of the key takeaways of the "Manufacturing Content Marketing 2019: Benchmarks, Budgets and Trends" report. Almost half of the manufacturing companies surveyed prioritise their own sales or promotional messages over the content needs of their audience. While content that explains how your products and services work is undoubtedly beneficial to the decision-making process, awareness and consideration stage content is equally, if not more important, yet often overlooked. Your audience is interested in finding the solutions to their problems. They need information that helps answer their questions, that informs and educates them in ways that respond to their needs, problems or fears. If you can do that, then you will build trust. The fact your business has picked up another award or won a new customer is of little interest to them. There is little value in throwing budget at content marketing without first understanding what information your audience finds valuable. Yet only 21% of manufacturing marketers have a documented content marketing strategy, though 45% claim to have one - it is not documented. As a manufacturer, you will understand the importance of measuring your processes and systems. Your marketing should not be the exception. And, putting strategy before tactics, you are assured of the best possible outcome from your marketing efforts. A key part of defining your strategy is developing your buyer personas yet only 39% of responders to the survey have defined them, though 66% of manufacturing marketers plan to be using personas to shape their content by the end of 2018. Buyer personas enable you to gain a deeper understanding of your target audience and their buying behaviours, so you can create content that will nurture them through the buyer’s journey. Shape marketing and sales strategies - Buyer personas can help you better understand the customer journey. Understanding behaviours and needs at each stage enable you to create a content plan that will guide them through their journey. Your personas should guide the decisions of your marketing team and help sales to pre-empt the needs and objections of prospects. Align your sales and marketing teams - Buyer personas can create a common language across your sales and marketing teams and ensure everyone is on the same page. Inform product development - Your buyer personas can tell you what’s important to your target audience when choosing a new solution that your business might offer. Understanding this allows you to develop products that appeal to them. There has been much research on the importance of a diverse content library. Video, webinars, infographics have all rose in popularity to help gain the attention of increasingly distracted buyers. The research shows that the majority of manufacturing content marketers increased their use of audio/visual content, written digital content, and images compared with one year ago. Manufacturers face long sales cycles full of multiple decision makers, and the survey confirmed that creating content for multilevel roles is a top challenge for respondents (68%). Video, in particular, is a great opportunity for manufacturers. Case studies, demonstrations and reviews will build trust with your buyer personas. You could create a video to demonstrate a product's key features, and how they solve complex problems or take your customers on a virtual factory tour to demonstrate your production process. Ask key customers for testimonials or if they would consider being featured in a case study. Google algorithms are constantly evolving in reaction to user behaviour. Users are asking longer more complex questions and expecting contextually accurate responses, dependent on their location and search history. Manufacturing marketers say changes to SEO/search algorithms is the top content marketing issue of importance to their organisation in 2018. 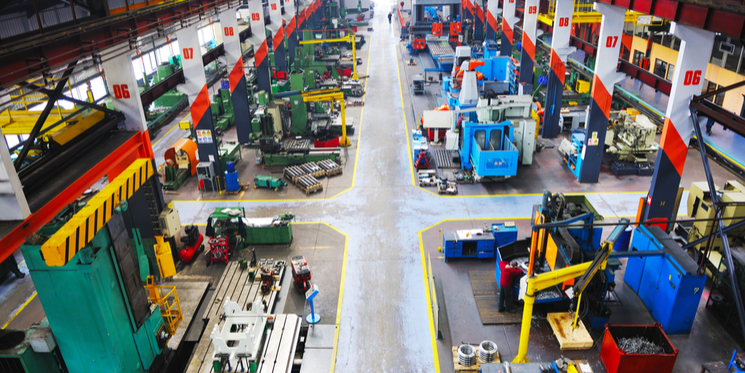 Longer form content such as user guides, white papers and eBooks are also growing in popularity with manufacturing marketers with 57% of manufacturing content marketers say they’ve used or developed long-form content in the last 12 months. However, if this content is a gated PDF document Google cannot crawl it. Consider turning some of your long form content documents into pillar pages. Pillar page - as the name suggests are architectural, and involve structuring your website around key pages, and then creating a topic cluster around this key pillar of your website. Manufacturing marketers have used content marketing successfully over the last 12 months to create brand awareness, educate audiences, generate demand/leads, build credibility/trust. What is more significant considering is that 44% of manufacturing content marketers report their organisation now measures content marketing ROI. There are many metrics and techniques available for measuring content marketing results. The key is to identify the metrics that will yield the most meaningful insights based on specific goals. These are just a few highlights of the report, to download the full version, click here.